Today we are featuring each of the Woman Who…Achieves Small Business (Retail & Products) Finalists. 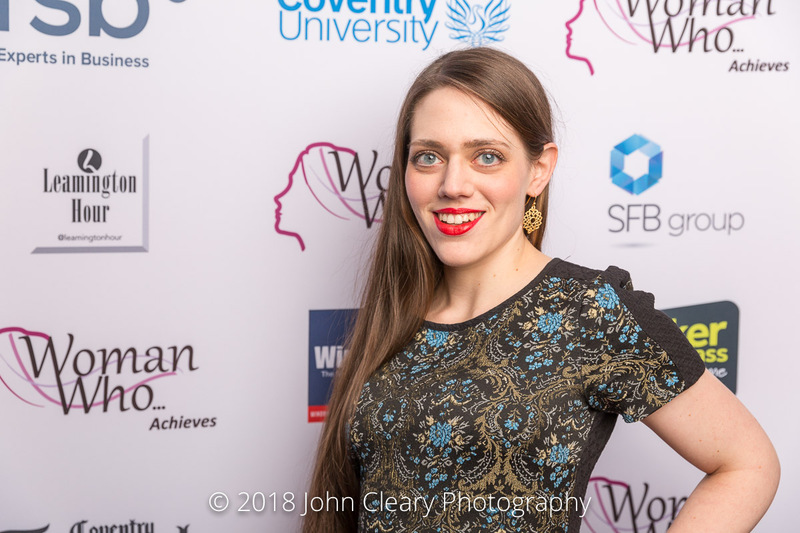 Introducing Ruth Mary Chipperfield, owner of Ruth Mary Jewellery Finalist in the Woman Who…Achieves Small Business (Retail & Products) Category, sponsored by Coventry Telegraph. Come along and support Ruth and our other Finalists at the Awards Lunch which takes place on Friday 27th April at Coombe Abbey Hotel. It’s an afternoon of entertainment, inspiration and celebration. Everyone is welcome. Take a look at last year’s gallery. Ruth Mary’s precious metal lace jewellery begins in the haberdashery corner of her studio. Using just a needle, a hook and a cotton thread, her lace designs are conceived and then hand stitched to perfection. From here, the lace makes its way to the metalwork corner, where an exact replica of the piece is recreated in solid sterling silver or gold. Her work includes highly bespoke bridal jewellery, where the precious metal lace matches the lace on the bride’s dress, as well as a more affordable collection of ready-to-wear pieces.